DCU’s ANAM festival for music, drama, film, literature and poetry returns on April 3rd and 4th 2019. DCU’s ANAM cultural arts festival was launched on Thursday, December 6th with a live performance from Little Green Cars. The Irish indie band officially kick-started the festival in the U Student Centre to a packed audience on the Glasnevin campus. The band also took the opportunity to encourage students and staff to get involved in DCU’s ANAM Talent Search, which urges students to audition for an opportunity to perform at the upcoming festival in April. DCU’s ANAM festival for music, drama, film, literature and poetry returns on April 3rd and 4th, 2019. It is a two-day celebration of culture hosted across DCU’s three campuses, the Glasnevin campus, St Patrick’s campus and the All Hallows campus. The festival is curated and produced by South Wind Blows. The ANAM programme brings together talented students and staff from DCU along with other leading Irish artists, musicians and writers through culture, song, poetry and social gatherings. The festival connects North Dublin communities while showcasing a variety of creativity and culture through a range of performances. ANAM will mark DCU’s first steps to play a central role in developing a North Dublin Quarter, which is placing a greater emphasis on culture and creativity in the university and community. 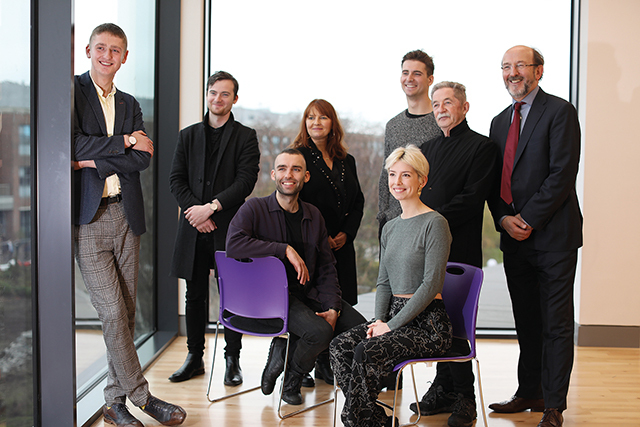 As an integral part of DCU’s Strategic Development Plan, ANAM will aid the commitment to foster the creative and performing arts in the North Dublin Community and DCU. Speaking at the launch of ANAM 2019, President of DCU, Professor Brian MacCraith said, “DCU is firmly committed to contributing to the creation of a new cultural quarter by opening up our spaces and sharing our cultural assets”. ANAM celebrates “culture and creativity that build deep connections with local community groups through a process of creative engagement,” he said. Last year’s inaugural event included several memorable performances from award-winning Irish acts and some of Ireland’s most famous musicians, performing with DCU students and staff in a celebration of culture. The 2019 showcase will be produced by director Philip King and South Wind Blows.